A photo documentary of my time in Syria as well as the refugee camps of Lebanon and Jordan. See the human face of the conflict in Syria as the people struggle to survive. The book has 101 pages and 98 high quality photographs in both colour and black & white. 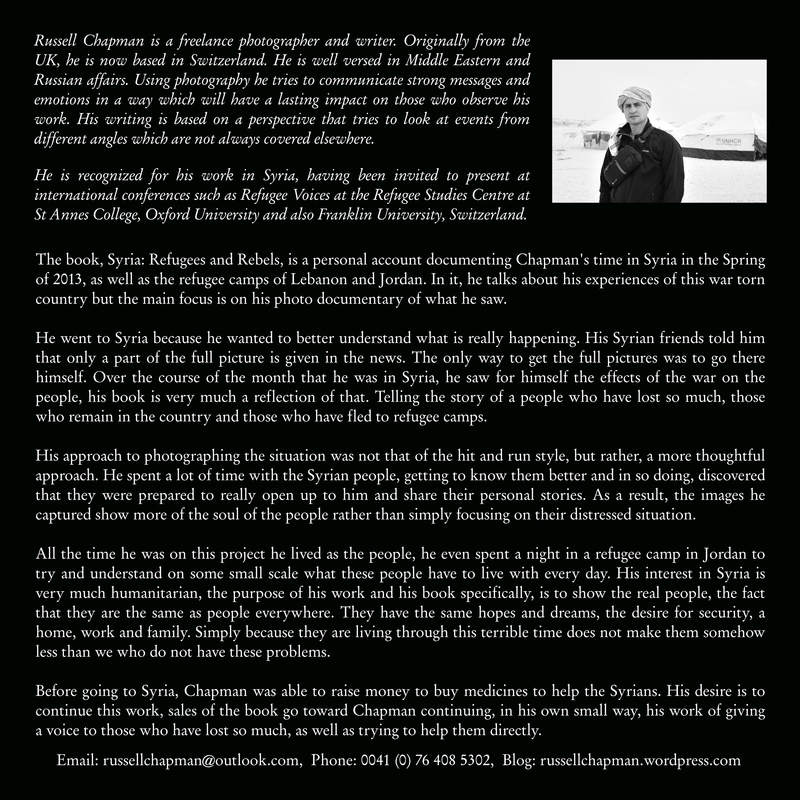 As far as I am aware this is the first photo documentary book to be published about the situation in Syria. This book is about giving a voice to those who have lost so much. I have now set up my publishing company, the book is now available from Amazon and Barnes & Noble etc as well as directly from myself. Click the picture to be taken directly to my book on Amazon.